This one day intermediate level course blends homestudy training from a professionally filmed and mastered DVD with online access with face to face interactive instruction and hands on lab sessions. The course has been carefully designed to maximize the learning experience by combining the self-paced online/DVD home study material with a focused hands-on training session in the classroom. Managing patients with neck pain can be confusing and frustrating for novice and experienced clinicians alike. In this hybrid self-study and one-day intermediate-level seminar, Dr. Durall will provide a systematic and integrative approach that demystifies the screening and treatment process, reduces frustration, and most importantly helps clinicians manage neck disorders with greater confidence and proficiency. Treatment-based classification and a novel algorithm are used as the course framework to streamline clinical decision making and care planning. Examination techniques and strategies that are introduced are straightforward and supported by research and clinical experience. Numerous intervention strategies are covered including mobilization & manipulation, therapeutic exercise, and directionally-specific exercise to provide clinicians with a diverse array of options to help optimize functional ability. Recent advances in cervico-thoracic spine research are integrated throughout the course to provide clinicians with new insights and rationale for decision making. Several special rehabilitation topics pertaining to the cervical spine will be covered including cervicogenic headaches and whiplash-associated disorders. Participants can expect to refine and advance their clinical skills in a supportive and relaxed learning environment. Hands-on lab time is incorporated throughout the course to promote immediate clinical application. As an intermediate-level course, it is expected that participants are familiar with the fundamental components of the cervical spine examination (e.g. ROM assessment, manual muscle testing, palpation, etc.). Thus these foundational skills are not covered. This course is intended for Physical Therapists although it may be suitable for Occupational Therapists, PTAs, or OTAs with strong orthopedic backgrounds. Perform select orthopedic special tests of the cervical-thoracic region to rule out specific disorders and to formulate differential diagnoses. Identify signs and symptoms of vertebral artery dysfunction, upper cervical spine instability, or cervical myelopathy that warrant referral to another healthcare provider. Recognize patients at risk for long-term disability. Classify neck disorders, based on examination findings, for purposes of care planning and intervention decision-making. Perform thrust and non-thrust manual therapy techniques to the thoracic spine, 1st rib, or cervical spine. Select and implement appropriate intervention techniques for patients with arm symptoms in association with neck pain. Formulate evidence-based therapeutic exercise programs to improve dynamic stabilization of the cervico-thoracic spine. Identify and manage patients with cervicogenic headaches. Manage patients with acute neck pain (e.g. whiplash-associated disorder). 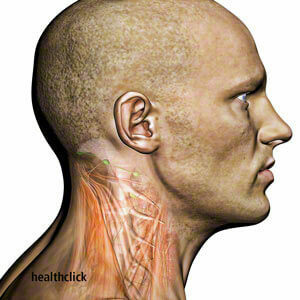 Identify treatments available for myofascial neck pain. Adjust the treatment emphasis for patients with sub-acute or chronic neck pain. Select and implement standardized functional performance instruments to assess patient outcome success. Integrate current evidence on the cervico-thoracic spine into clinical practice. Due to the ever-changing body of evidence, expertise is somewhat something of a moving target. However, after 20+ years experience of treating the neck and 10 years experience teaching clinicians how to do the same, it’s fair to say that I have acquired a certain level of mastery.